Earn $9.89 in VIP credit (989 points)What's This? 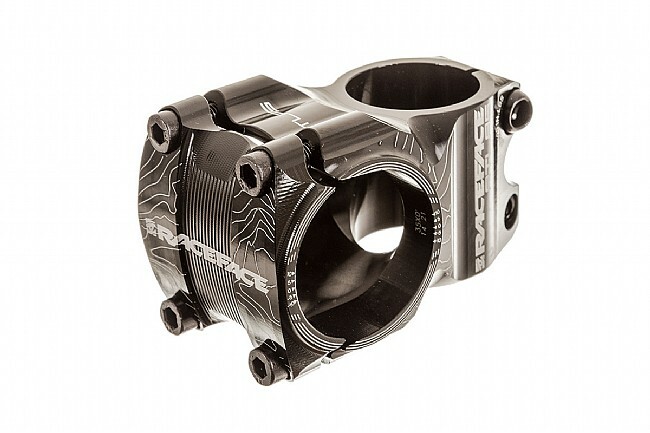 The Race Face Atlas 35 MTB Stem is compatible with 35 mm diameter handlebars for increased stiffness and weight savings for aggressive mountain riding. It's made from 6061-T6 alloy to balance a light weight with excellent strength, and the four-bolt, interlocking handlebar clamp reduces stress points to prevent damage to the handlebars. Laser-etched Race Face logos are complemented by a distinctive topo-map patterning for a unique look. Compatible with 35 mm handlebars only. Not compatible with 31.8 mm bars.